We’re proud to announce Keyy has now exceeded 1500 app users on over 1000 WordPress installs milestone and now looks better than ever with a redesign. 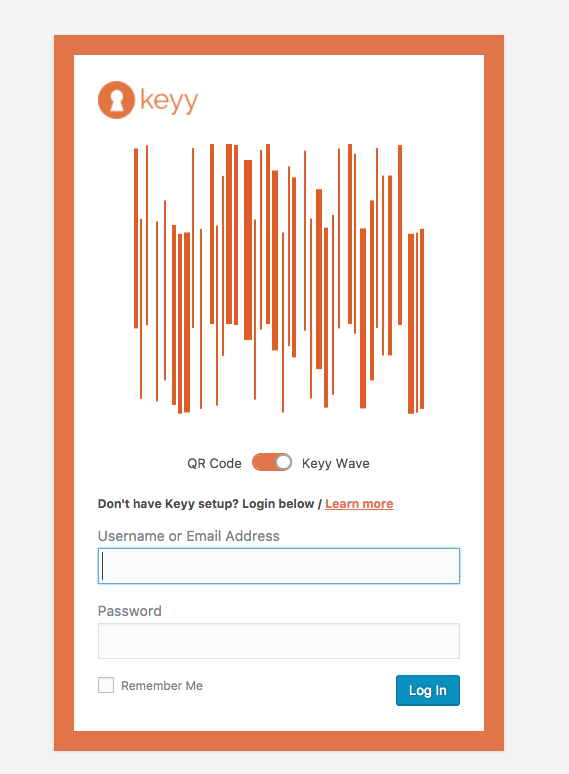 Furthermore, the new login cryptograph launched this fall makes it much easier to switch to a QR code, thanks to a toggle that refreshes that portion quickly and seamlessly. Also, the toggle looks clearer, which makes the sparkling UX now look more like the Clef plugin which inspired it. Thanks again for all your support and feedback.